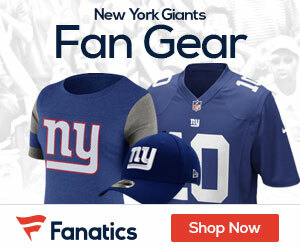 « With the 19th pick, the New York Giants select? 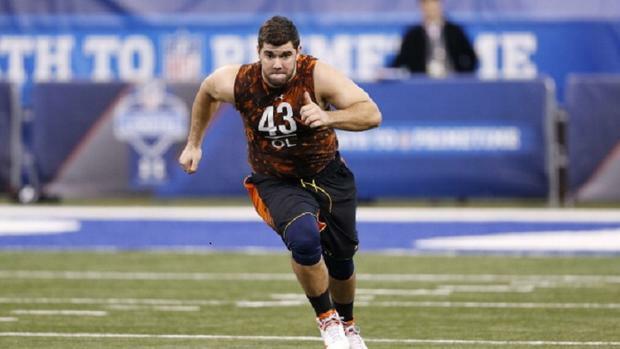 The Giants used their first pick of the 2013 NFL Draft to shore up the offensive line, as the team picked Syracuse OT Justin Pugh. Pugh is 6-5, 307 pounds, and made 34 starts at Syracuse, mostly at left tackle. He’s an athletic technician, and is being projected to guard or even center by NFL teams due to stubby 32-inch arms. In March, NFL Network’s Daniel Jeremiah compared Pugh to “a better version of Andy Levitre.” Levitre played left tackle at Oregon State and has grown into one of the NFL’s top left guards. In 2012, Pugh permitted just a half-sack of Ryan Nassib and otherwise didn’t allow a single hurry. The Giants could slot Pugh in at left guard ahead of Kevin Boothe or right tackle over David Diehl. They’ll likely figure it out in training camp. Summary: Ryan Nassib had a rock in the form of Justin Pugh at left tackle protecting his blind side throughout his Syracuse career. While Nassib didn’t have a great supporting cast in the form of receiving weapons, he at least had a good college left tackle in Pugh protecting him. Pugh broke into the starting lineup in 2010. He had a strong debut, as he was named a Second-Team All Big East selection. As a sophomore, Pugh improved and was a 2011 All-Big East First-Team selection for Syracuse. Pugh then missed a few games to start the 2012 campaign as he was working his way back from a shoulder injury. However, Pugh eventually put together his best season. He was rock solid in pass protection and was effective at opening holes in the ground game. Pugh participated in the Senior Bowl after the season. Some observers felt he played well, while others were unimpressed. Pugh definitely didn’t look as good as Central Michigan’s Eric Fisher or Oklahoma’s Lane Johnson. The undersized Pugh took reps at tackle and guard. He did okay taking on speed rushers but had some problems with bull rushes from heavy defensive tackles. One big issue for Pugh as a left tackle in the NFL is he has terrible length. He has extremely short arms (31 1/2 inches) that are a few inches short of average and far from ideal. He also isn’t very strong, so he could struggle with a lot of the big defensive ends, especially larger ends in a 3-4 defense. Pugh clearly needs more strength for the NFL. What Pugh has going for him is good technique a pass protector. He has quickness, athleticism, agility and mobility. Negating speed rushers by getting depth in his drop is one of his best strengths. The demand for left tackles is always huge in the NFL, so Pugh benefits from that, and it wouldn’t be surprising to see a team try Pugh on the blind side. Some teams feel that he should move inside to guard. Pugh’s best fit could be in a zone-blocking system. That would highlight his movement skills, intelligence and technique while protecting his size and power limitations. If Pugh goes to a man blocking scheme, he will have to add some power to beat defensive linemen. If Pugh were bigger he would be a top-20 pick. As it stands now he could go late in the first round or go early in the second round of the 2013 NFL Draft.